Summer movie season has come and gone for 2015. 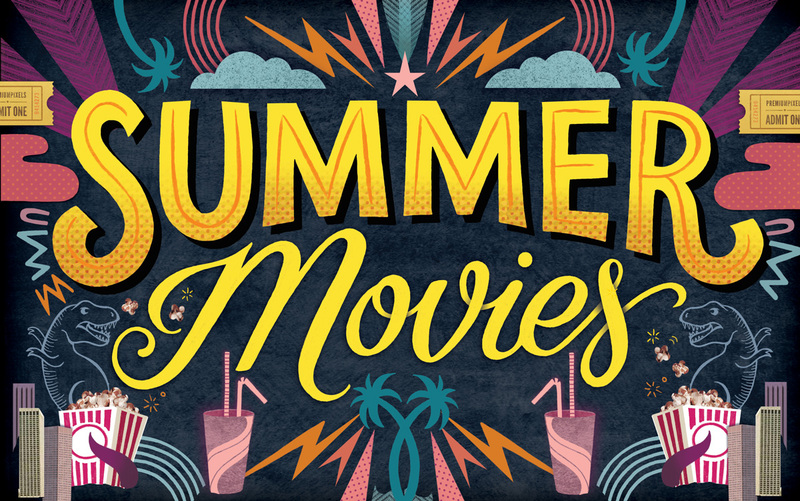 Around this time of year people start looking forward to the primary Oscar competition, but we at LTBM would like to take a moment and reflect on the summer movies. Speaking as a long-time Joss Whedon fan (in the true, fanatic, sense of the word), Avengers: Age of Ultron was my favorite movie this summer. The great thing about Whedon is his impressive eye on taking proper moments between action and developing characters. Sure, we all knew battling Ultron (appropriately voiced by James Spader) would require a plethora of big budget action sequences. And, let’s face it, Hollywood (as well as a lot of moviegoers) obviously does not care about developing characters in action films. But Whedon knows better and he’s had practice (Buffy the Vampire Slayer, Angel, Firefly, etc.). Some of the best scenes from the film came out of the farm break with Hawkeye’s family because the breakneck pacing needed that space to go deeper with the characters. In other words, the reason why Avengers: Age of Ultron was my favorite was because it really cared about its characters; and if a movie truly cares about the characters then we will too. I can’t wait to watch it again! I’m afraid that despite all the good movies that came out this summer, my options for favorite is limited to the few I was able to see. Having a very young child certainly makes it difficult to get out, but my wife and I managed to see Minions, Jurassic World, Ant-Man, and Inside Out. Of those 4 I’d have to go with Inside Out as my favorite, with Ant-Man close behind. I love the subtle and ironic humor that Pixar is so good at capturing. The story was great and it was really interesting to see how Riley’s emotions change as she grew older, particularly at the end when she got those awesome upgrades. Telling the story from the perspective of the emotions was brilliant and executed flawlessly. Although my childhood was much different than Riley’s, I still felt that I could relate to the things that Riley faced and I don’t think I’m alone in that. The story is easy to relate to and hits home with many people, which is partially why it has gotten so much acclaim. In my opinion this is one of the best Pixar films. George Miller has one of the most diverse directorial resume’s in the business today. From Mad Max to Babe: Pig in the City to Lorenzo’s Oil, Miller seems to have proven himself a jack of all trades. When Mad Max: Fury Road came out in May of this year, many began calling him a master. I’ve been able to catch a solid handful of movies in the theaters this year, and Fury Road had me on the edge of my seat like none other. What Miller accomplishes visually is nothing short of a masterpiece, and what he accomplishes in the genre will likely be seen as ceiling shattering in the coming years. Miller took an action film with a female protagonist and made it engaging and compelling. So often these efforts fall into one of two holes; either the female lead isn’t up to snuff, or the plot plays on cliche’ bits of weakness and vulnerability. Neither was the case with Fury Road. Needless to say, I bought it the moment it was available. Ant-man is the top of the top for me. It’s the to film I’ve seen in a long time overall. True, I’m a hero fan. That does NOT mean I’d say the same thing about every super hero movie. (The new F4 made me want to crud for Stan Lee more than anything.). There’s a pretty awesome review already written for our site on it (not mentioning any names). I think one of the best parts about Ant-Man is that he’s like so many of us. He’s a guy who made mistakes, wrong choices, and got sucked into the world. Then, he got a chance to correct his path and walk the straight a narrow. For him it was not breaking the law and becoming an Avenger. For us, it’s about heading the Gospel call, getting out of the world, and living the life if a Christian. Summer blockbusters are not known for being highly cerebral or thought-provoking. In general, these tend to be fun popcorn flicks, usually genre films, that are good to see with a group of friends on a fun Friday night. If that was the goal of Avengers: Age of Ultron, it certainly achieved that. The film tops its predecessor in thrilling action, and even introduces some new super-powered people to make things more interesting. But it’s also an interesting character study. You see a budding friendship between Black Widow and Hulk, more backstory for Hawkeye, a guilt complex for Iron Man, deep grief in the twins, and the list goes on. The movie is admittedly too crowded, which in brief moments can make it more overwhelming than anything. But the character development is deeper, in addition to the top-notch action, making it just a notch above the other popcorn flicks from this summer. We want to hear from you as well! Many of us didn’t get out to see much this summer, but if you did what were your favorite summer releases?